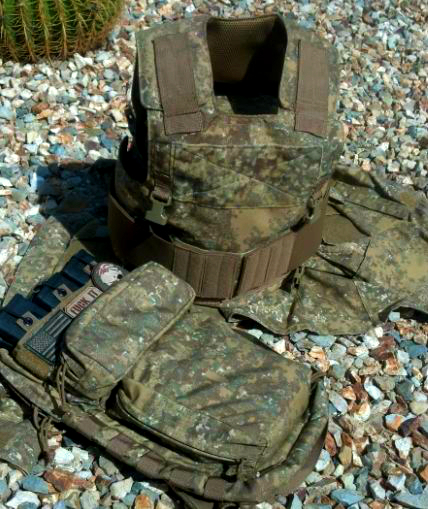 We first had Ares Armor develop the Combat XII-MEC Pack with Hyde Definition's PenCott Multi-environment Camouflage Patterns and have now carried this over to more of their products including the Atalanta Modular Armor Carrier seen here in the BadLands transitional variant. This version of the Atalanta Modular Armor Carrier includes all of the same features as the original including 1000 Denier Cordura Nylon with the PenCott BadLands Pattern and matching Quiet Loop at the front and rear for identification and to secure waistband. The Atalanta Armor Carrier is designed as a concealed armor carrier and can take on full combat loads in addition to Soft Armor or SAPI Plates. Spacer mesh is integrated for a comfortable wear and easily takes on the Combat XII Pack for a lightweight load carry. Look for products like this and more at Predator Armament.